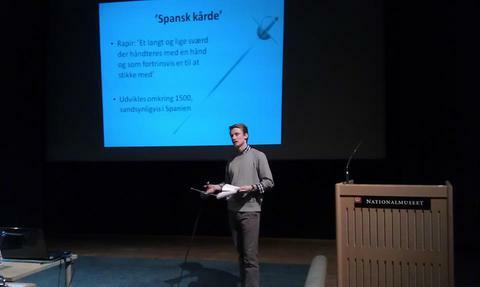 You can hire us for lectures on historical fencing and for exciting combat demonstrations. If there is any specific area of interest, i.e. historic period, weapons etc. then we can research and provide the information. 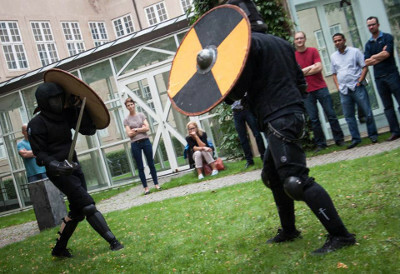 For larger gatherings we can provide a fencing demonstration, as an option, in combination with renting rooms at the Nationalmuseum. The National Museum of Denmark has some of the most unusual and beautiful banquet- and meeting rooms. For more information contact the Event department at the National Museum.